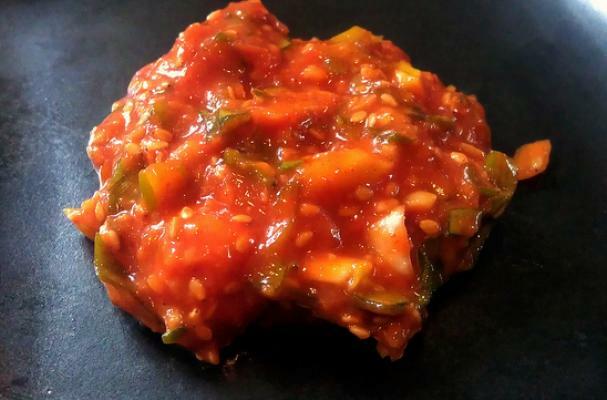 Ssamjang (ssam means "wrapping" and jang means "sauce") sauce is a spicy Korean sauce with deep, bold flavors. A little bit goes a long way, but you will soon become addicted to this tasty sauce. Spoon over grilled meat wrapped up in lettuce leaves, or create your own Asian-fusion meal by slathering it on burgers, ribs or chicken. You may just want to double up on this recipe. Mix ingredients well. That's it.